Three films from three annoyingly talented people, who delivered breakout hits with just their first or (in Cowperthwaite's case) second feature films. I hate them. But I like the films. 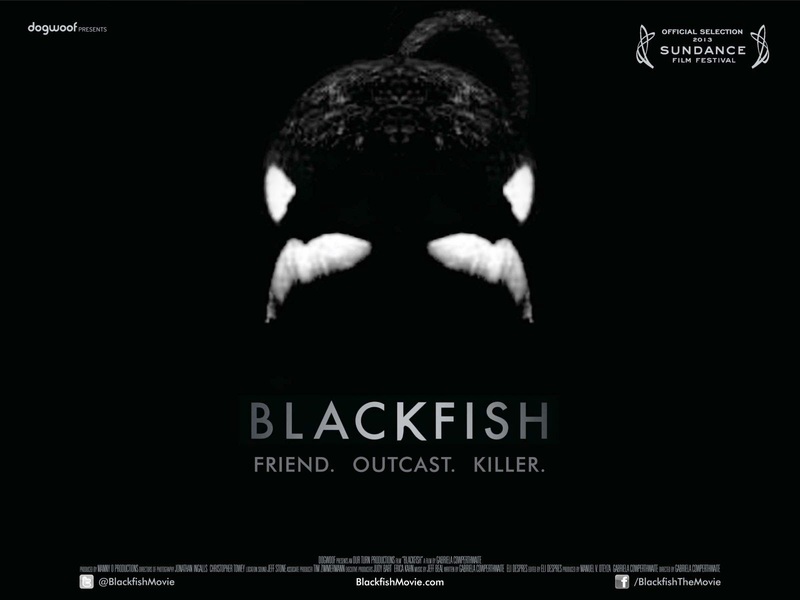 The acclaimed documentary Blackfish (Gabriela Cowperthwaite, 2013) is a damning indictment of the practices used by Seaworld in capturing and training killer whales for exhibition in their shows. A number of former Seaworld trainers speak of their experiences, which are by turns saddening, angering and frightening in their revelations about the treatment of these beautiful, but dangerous animals. There's always a chance that a particular agenda is been pushed in this type of documentary so, in the interests of balance, it would have been good to hear the case for the defence, although Seaworld refused to contribute to the film. Since the documentary was released, visitor numbers to Seaworld have dropped dramatically, leading to the resignation of the CEO, whilst other investigations into park practices are under way. It seems pretty clear there were some morally and ethically dubious goings-on, not least in selling the sperm from a clearly aggressive male orca for breeding purposes - certainly not a free willy. You can watch the film online for free here. 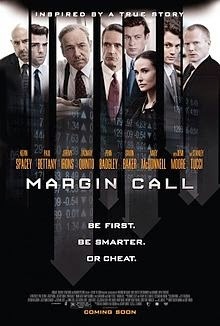 Margin Call (JC Chandor, 2011) is slick debut from Chandor, as he attempts to encapsulate in 100 mins the situation on Wall Street that brought about the global economic collapse in 2008. The alarming thing is that he is able to do so - could something so complex and far-reaching actually boil down to just a few decisions based on sums in a spreadsheet? Apparently so. With admirable economy, the chain of events is mapped out over a 36-hour period in accessible dialogue from a good cast. Whilst no attempt is made to excuse the greed and immoral actions of the characters, the film also demonstrates the pressures that come to bear on them, making their actions at least understandable, if not forgivable. Wall Street traders have criticised the film for being too simplistic, but then they wouldn't really want to admit that their lucrative livelihood is based on something which is not really much different from Joe Bloggs placing a coupla quid on the gee-gees down the bookies, would they? Kevin Smith's massively successful debut feature Clerks (Kevin Smith, 1994) still feels rather amateurish, with some dodgy acting and over-rehearsed dialogue. Which is not really all that surprising, since nearly everyone involved were friends and family of Smith, making their first appearance on film. Nevertheless, Smith stills deserves much credit for making a film for less than $30,000 which is frequently very funny, with some acute observations hidden underneath all the crudity and swearing. After all, about a million of us have had similarly ridiculous conversations and experiences with friends, but we don't all have the drive to turn those into an influential cult film, become a famous Hollywood director, or create cultural icons like Jay and Silent Bob. Most of us just keep on slacking.